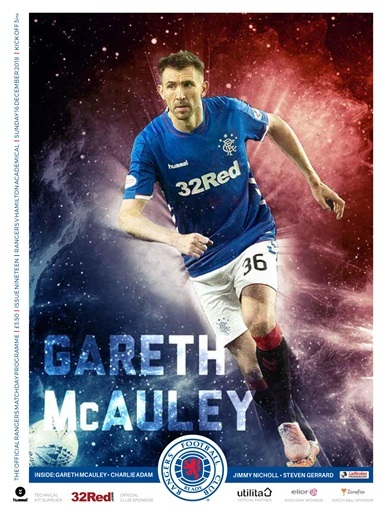 Today's league programme features an exclusive interview with Northern Ireland defender Gareth McAuley as well as Steven Gerrard's pre-match notes and James Tavernier's captain's column. Regular features include: Where Are They Now? Colin Miller, They Played at Ibrox, David Mason, Classic Kits and Getting To Know - Ryan Jack.